Read about other “flying monsters” here. Nat Geo is going to have to update this beautiful diagram! 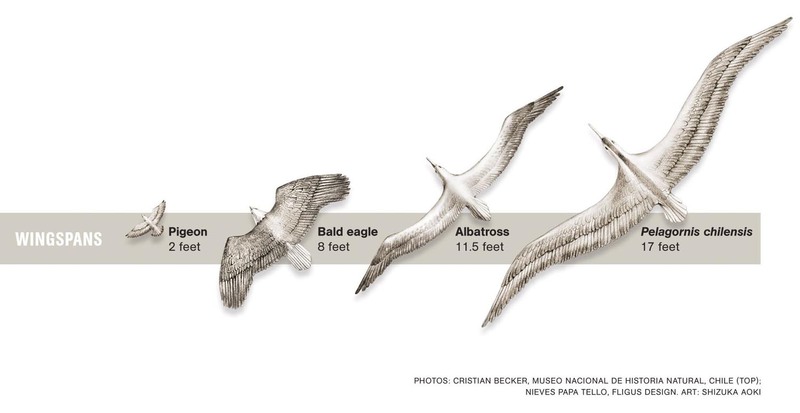 The wingspan of Pelagornis chilensis‘ cousin, Pelagornis sandersi, just clocked in at 6.4 meters (21 feet). The name of the world’s biggest flying bird is Pelagornis sandersi. “Pelagornis” simply means “pelagic” or “pelagic bird.” (“The most unimaginative name ever applied to a fossil,” (p. 197) according to the world’s leading avian (bird) paleontologist.) What do you think “sandersi” means? Why do you think scientists gave the bird that name? Sandersi simply honors Albert Sanders of the Charleston Museum, who uncovered the skull, wing, and leg bones of the bird in South Carolina in 1983. Biologists and paleontologists bestow such honors all the time! Angelina Jolie is a spider! Lady Gaga is a fern! Queen Bey is fly! 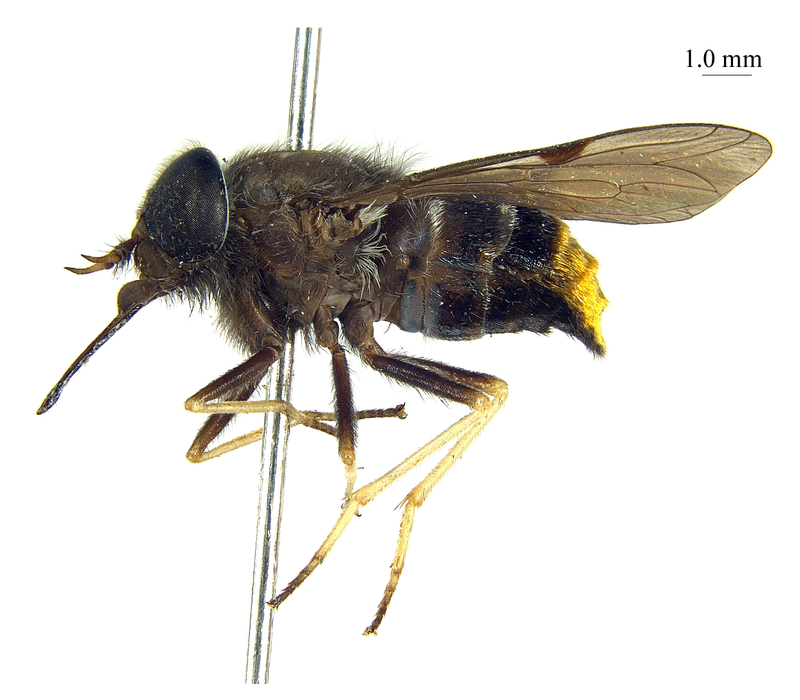 Click here to read about how another, even more ancient flier (Vectidraco daisymorrisae) was named after 9-year-old fossil hunter Daisy Morris. Great story. Vectidraco daisymorrisae was a pterosaur, a type of flying reptile related to dinosaurs. Read about these “Flying Monsters” here. 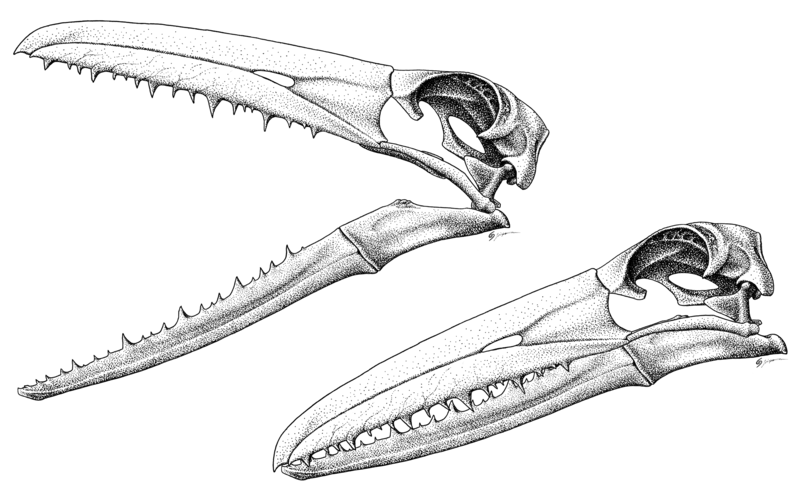 Was Pelagornis sandersi a pterosaur? No! Pterosaurs lived millions of years before Pelagornis sandersi and other birds. Was Pelagornis sandersi as big as a pterosaur? No! Pterosaurs were much, much larger than Pelagornis sandersi. Pterosaurs, such as Hatzegopteryx and Quetzalcoatlus, had wingspans of more than 30 feet (9 meters). Click here to learn more about Quetzalcoatlus. What do you think these jaws chomped into, 25 million years ago? Fish! Those pointy pseudoteeth probably helped the soaring giant hang on to the slippery, squirmy fish (or fishy cousins) of the Miocene.